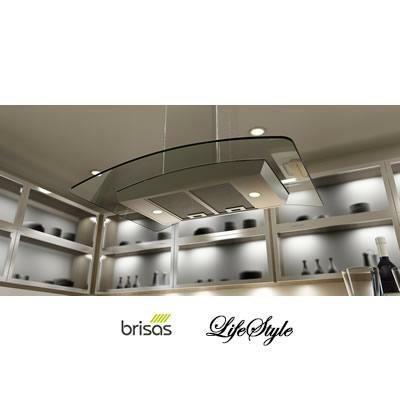 Brisas 36" island hood. Brisas BML can be installed in as little as 20 minutes. 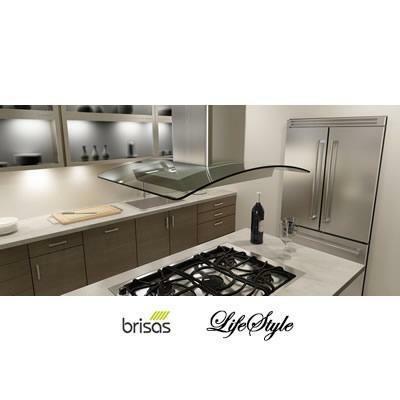 Designed with a unique 3-three step installation system, Brisas BML breaks the arduous task of installing the entire range hood into 3 easy steps. With an installation template to help you align your ceiling marks without the guesswork. 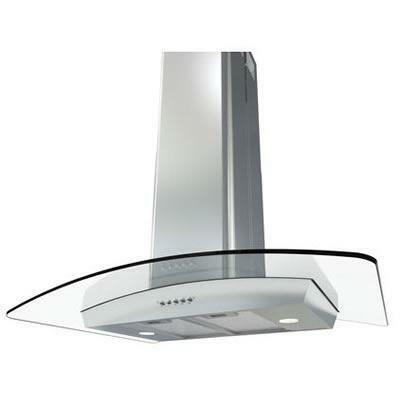 One look at the classic European design and gentle clear-glass curved canopy will have you sold.